WRITER and actor Kate Mulvany has written a play based on a book that takes its readers out of this world. Mulvany attributes the award-winning Masquerade by Kit Williams with helping her recover from a bout of childhood sickness. “Within a few words my mind exploded, my imagination went crazy be-cause I was on that adventure with Jack on his way across the universe, and I think that book helped me get better,” Mulvany says. The play has been chosen as this year’s production by the not-for-profit, Dreamhouse Theatre Company. 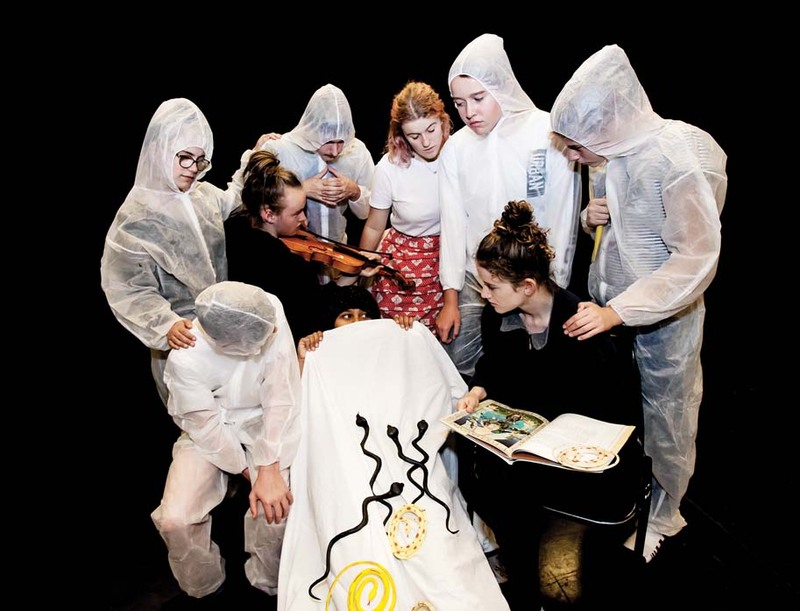 The cast of 16 from four Mornington Pen-insula secondary schools has been rehearsing since December for two per-formances next month. Artistic director Carole Patullo describes the play as “a wonderful mix of the poetic, moving and very funny”. “It captivated the cast when we first read it and is bound to enchant audi-ences from 9 to 90. “In a wondrous world of riddles and hidden treasure, bumbling Jack Hare is on a race against time to deliver a message of love from the Moon to the Sun. “Far, far away in a world just like ours, a mother cheers her son Joe, re-covering in hospital, with the tale of Jack Hare’s adventure. But when Jack’s mission goes topsy-turvy, Joe and his mum must come to the rescue, and the line between the two worlds becomes blurred forever. Patullo says live music and songs add to the play’s charm. Also involved in the Dreamhouse production are VCA graduates musical director Anna Durham and costume designer and maker Jacinda Hill. Dreamhouse Theatre Company caters primarily to 13–18 year olds and, according to Patullo “aims to inspire a love of the performing arts and to celebrate the artistic contribution that young people make to our com-munity”. Masquerade is on Friday 4 May and Saturday 5 May at The Southern Peninsula Arts Centre, Rosebud.